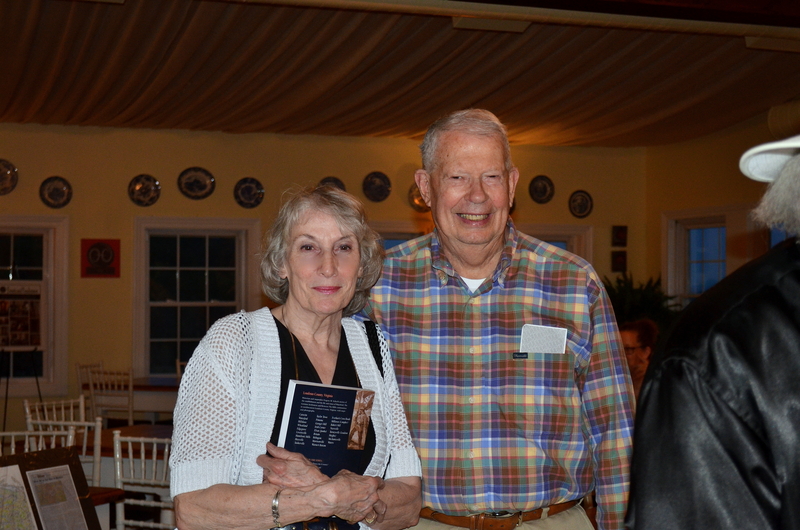 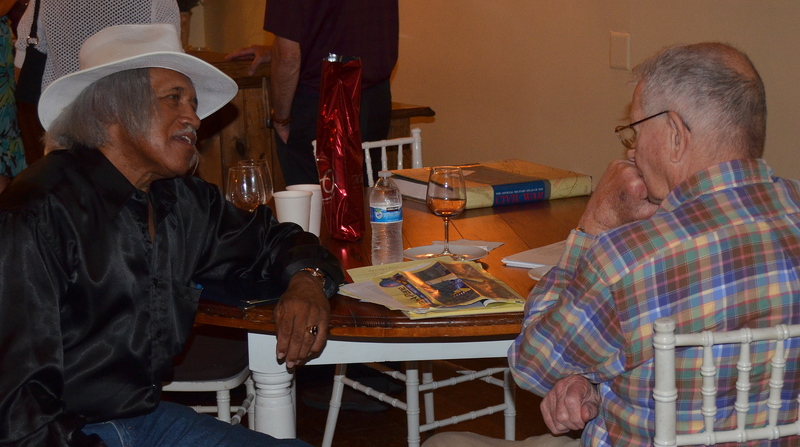 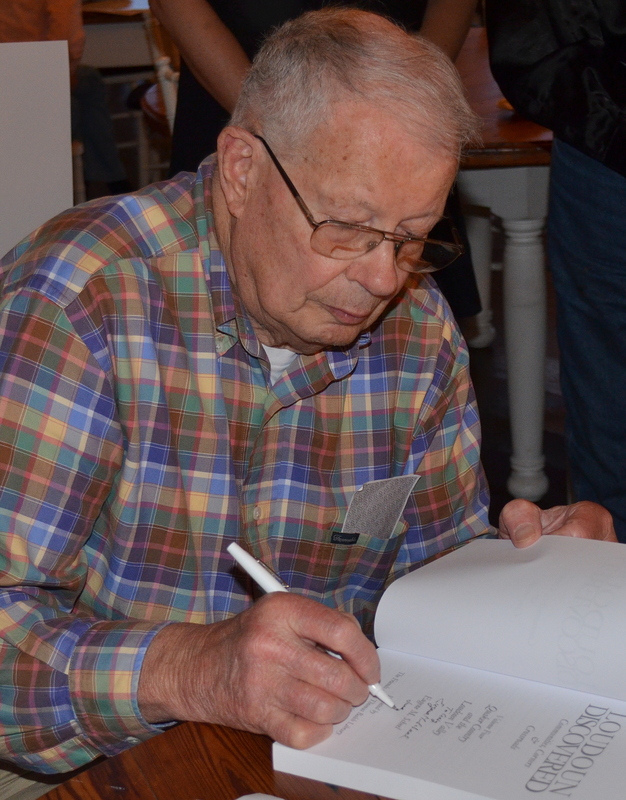 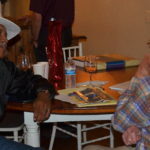 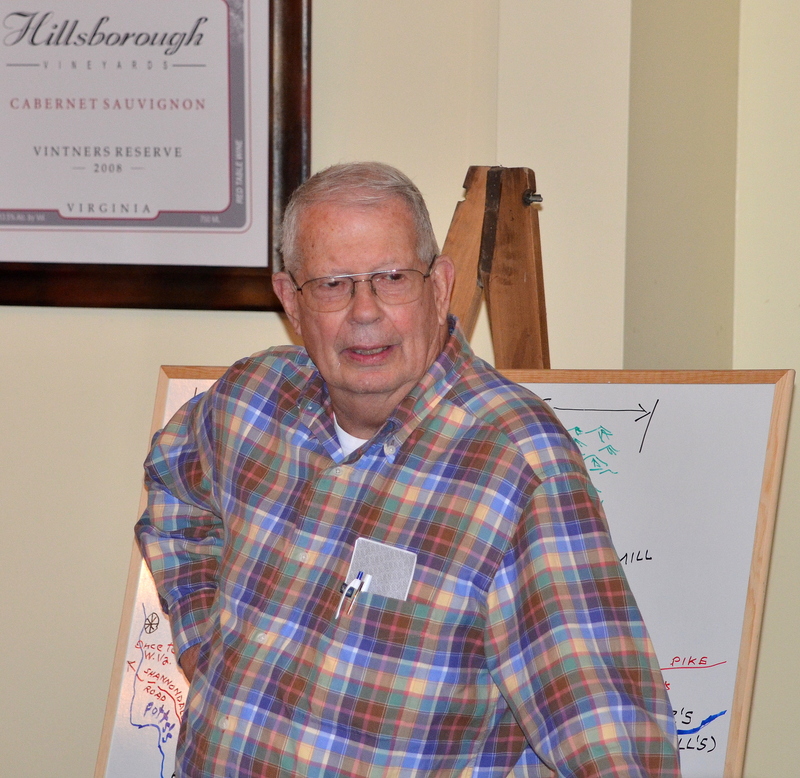 More than 100 people enjoyed “An Evening with Eugene Scheel” presented by the non-profit Short Hill Historical Society and generously hosted by Hillsborough Vineyards. This was the first in a series called “History Talks, Trips, and Treasures” that the Short Hill Historical Society plans to host as a way to help preserve the history of the area. 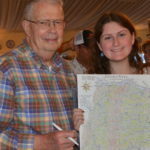 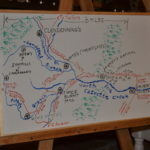 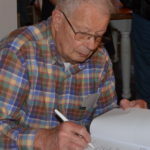 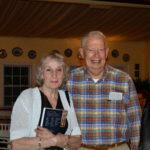 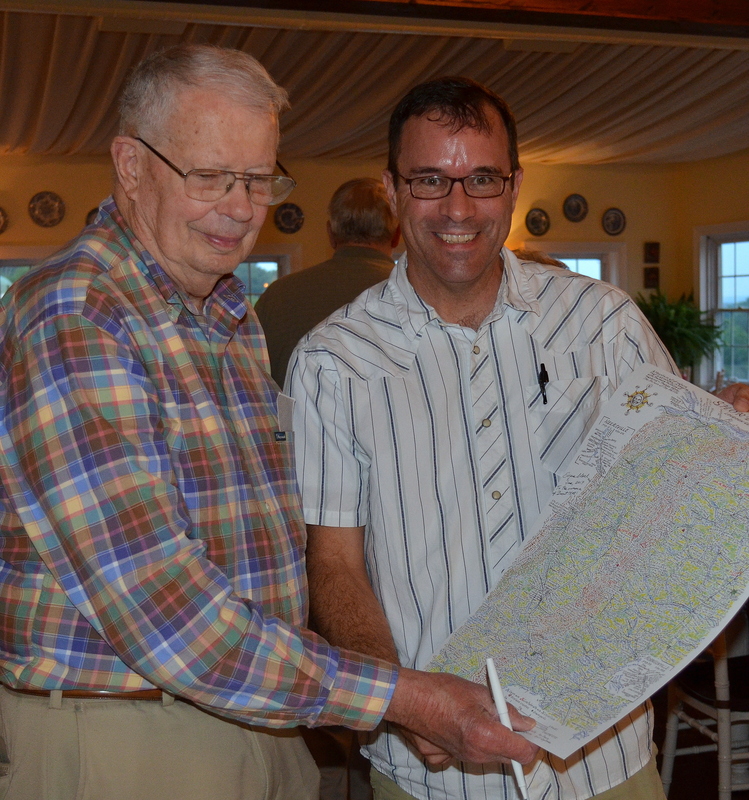 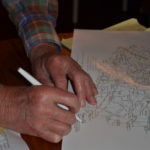 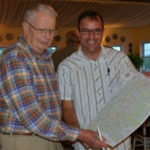 Eugene Scheel is a noted map-maker and historian who has written 9 books, including the Loudoun Discovered series, and provided more than 50 historical maps that cover Virginia, as well as other states and foreign countries. 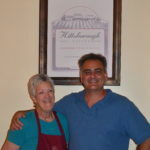 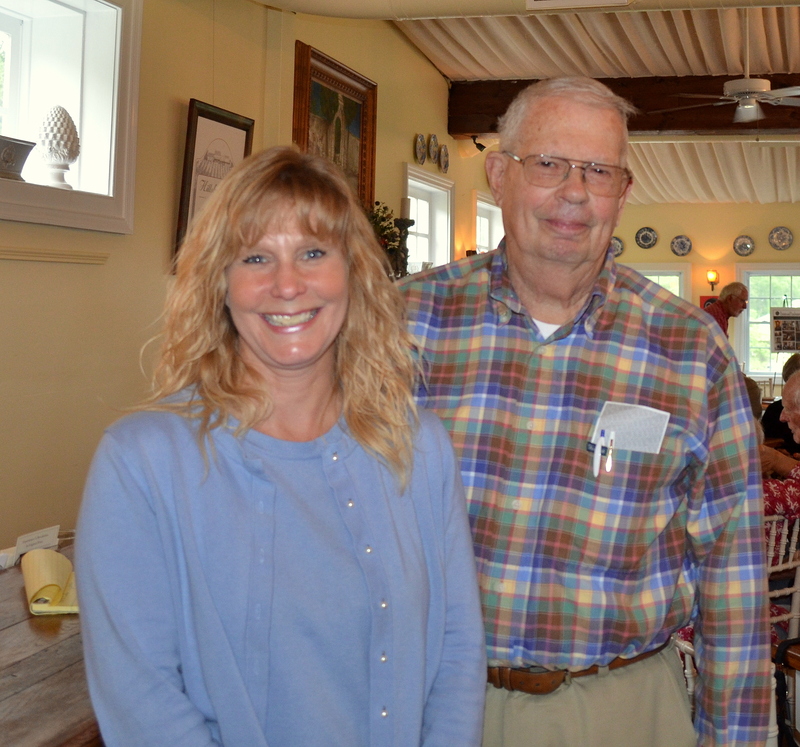 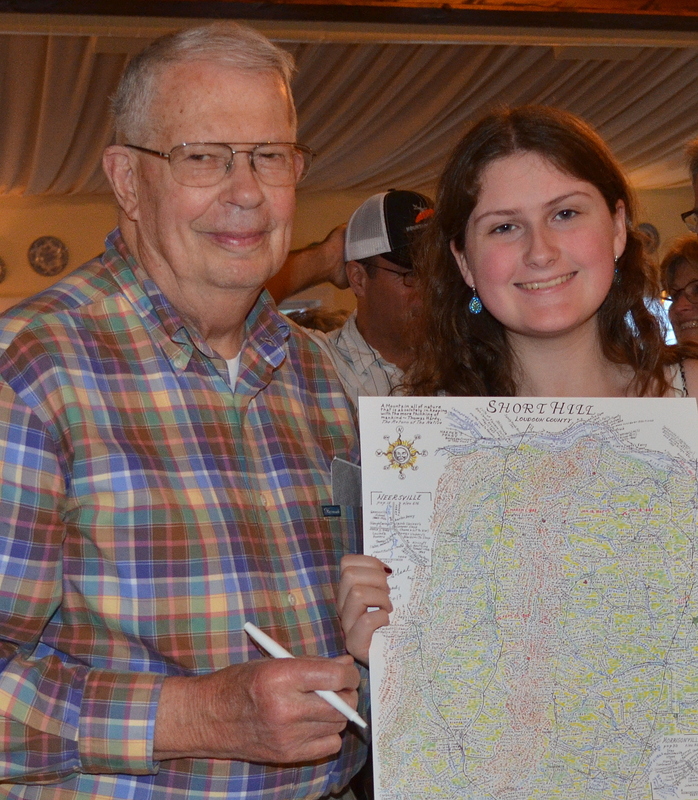 His presentation for the Short Hill Historical Society’s event covered the history of Hillsboro and the surrounding area, with a special focus on the mills. 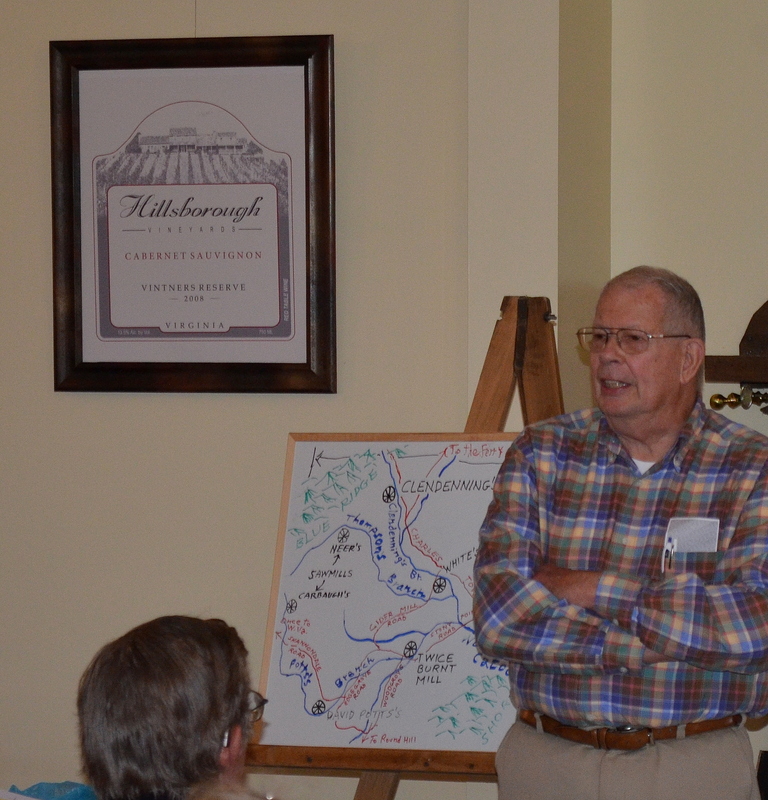 His engaging stories and interesting facts were enjoyed by all. 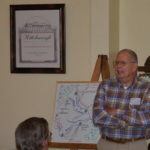 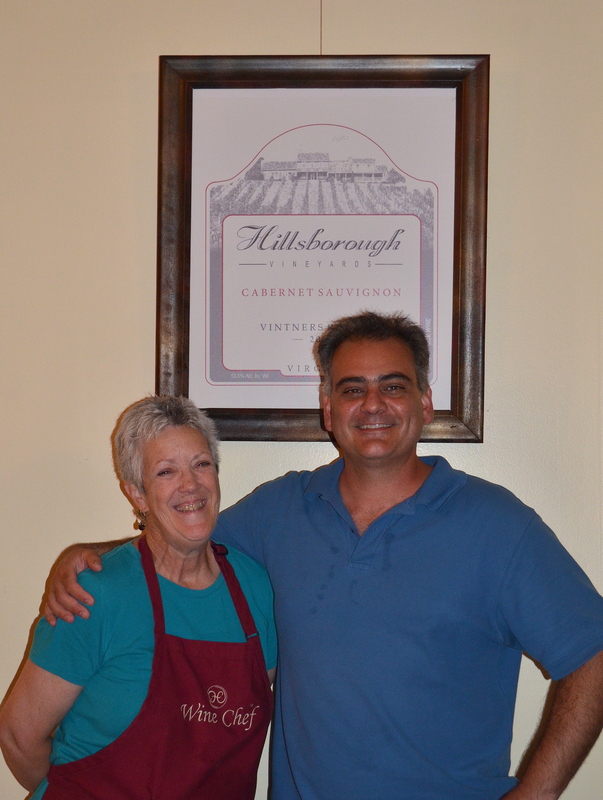 He told his rapt audience that there were once 8 mills in a 3 mile radius around Hillsboro and that the original spelling of the town was, in fact, Hillsborough. 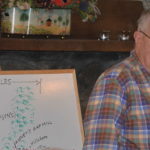 One of the stories he shared was of a truck filled with candy that wrecked, spilling the candy all over the road. 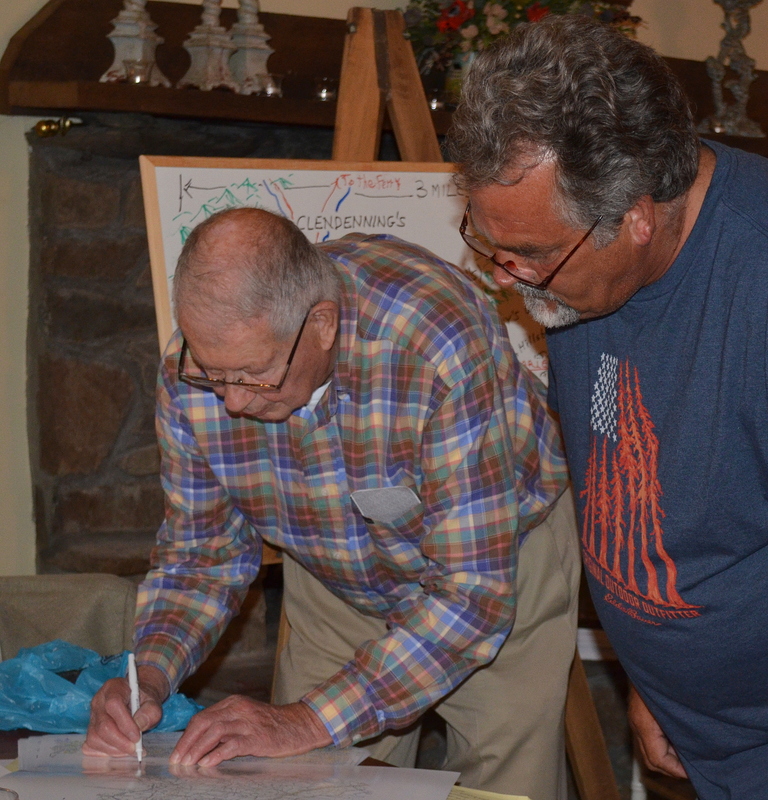 When his presentation was over, many people asked questions about specific places or shared their own stories. 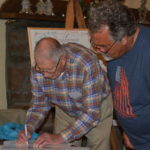 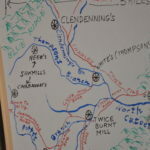 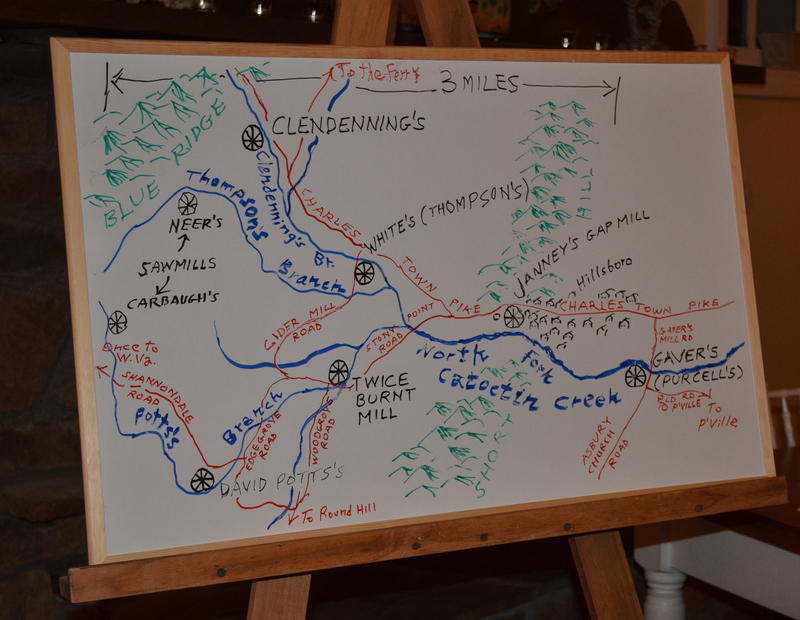 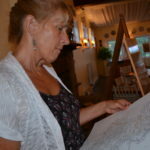 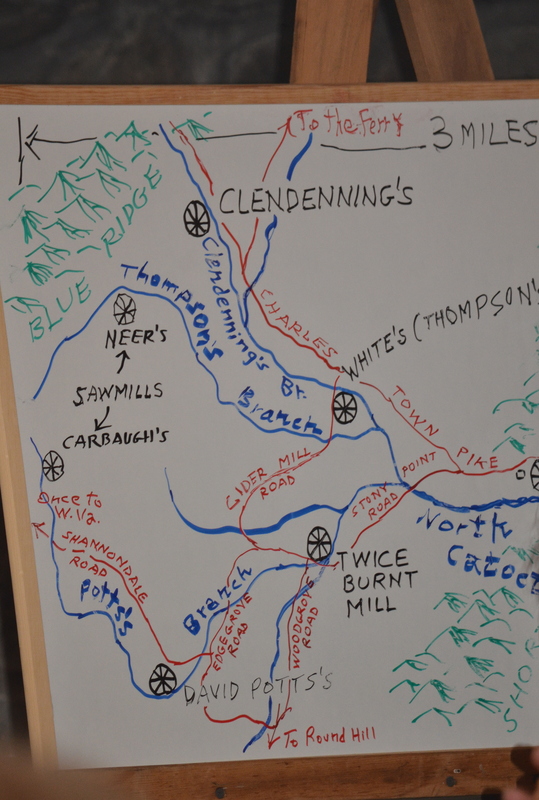 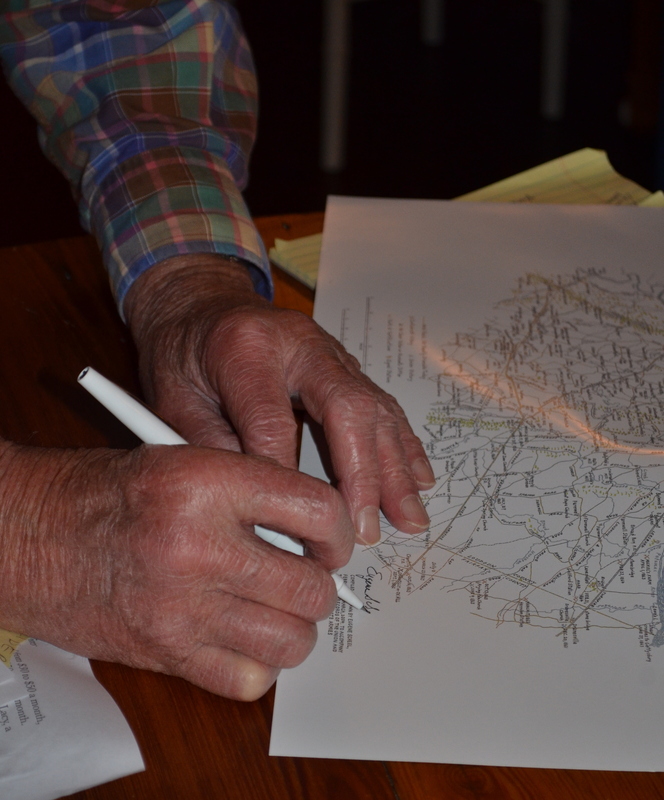 He then signed his maps of the Short Hill region for those who purchased them. 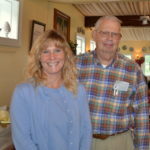 See more about the Short Hill Historical Society’s “History Talks, Trips, and Treasures” on our event page.